Academic work consists in delivering course units “Epidemiology” and “Epidemiology in Extreme Situations with Military Epidemiology” to fourth-year students of the Faculty of Dentistry, who specialize in dentistry, fifth-year students of the 1st, 2nd and 3rd, 5th,6th Faculties of Medicine, who specialize in General Medicine and Pediatrics, fifth- and sixth-year students of the 4th Faculty of Medicine, who specialize in Preventive Medicine, and first-year bachelors, who specialize in Nursing Care. Besides, the Department delivers one elective course unit “Epidemiological Methods in Clinical Medicine. Fundamentals of Evidence-based Medicine” for sixth-year students of the Faculties of Medicine. The Department trains interns, specializing in Epidemiology. The course unit “Clinical Epidemiology” is delivered as a related subject for interns, who specialize in Family Medicine. The lectures are given to students in the Department lecture room; practical classes are conducted at specially equipped class rooms for parasitology; natural nidi; disinfection, disinsection and deratization; immunoprophylaxis; military epidemiology and epidemiology in emergencies and disasters. The Department has worked out and introduced into the academic process methodological guidelines for students and interns; these materials are at the methodological room, and students have a free access to them. The Department has a scientific library and a museum of its history; their materials are used for different educational purposes. 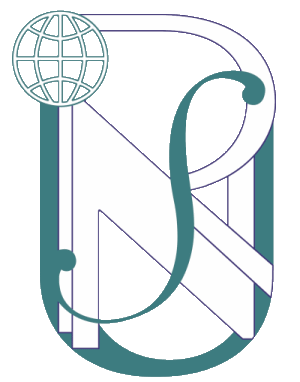 The Department also has its students’ scientific society. 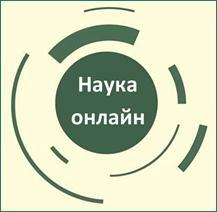 In recent years the Department staff has conducted researches on problems of influence of environmental factors and diseases on active immunity against infections, controlled with specific preventive measures; epidemiological diagnosis of infectious diseases; development of epidemiological surveillance methods with use of information technologies; development of methods for mathematical modeling, simulation of epidemic processes and prediction of infectious diseases spreading; development of Ukrainian scientific terminology in epidemiology, creation of an international dictionary of epidemiological terms. During the recent 5 years (2008-2012), the scientists of the Department have published 3 manuals (one of them in English), 65 articles, 114 abstracts, 3 newsletters, 12 methodological guidelines, and received 3 patents and 2 copyright registration certificates (one of them for a computer program). The results of the Department’s research were recognized both in Ukraine and presented at scientific forums in the FSU (Russia, Belarus), the USA, Austria, Italy, Thailand etc. 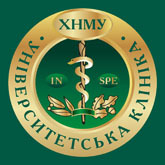 The Department cooperates with other Departments of KhNMU, Mechnikov Institute of Microbiology and Immunology of the National Academy of Medical Sciences of Ukraine, Kharkiv Medical Academy of Postgraduate Education, Bogomolets National Medical University, Zhukovsky National Aerospace University “Kharkiv Aviation Institute”, Sanitary-Epidemiological Establishments of Ukraine and different regions of Ukraine etc. Students actively participate in the research work of the Department. The results are annually reported at meetings of the International Students’ Scientific Society.